The Locus Awards, given by a poll of the readers of Locus Magazine (full disclosure: for which I write a regular column), and lately including an online component open to anyone (with non-subscriber votes counting half), have been given since 1971. 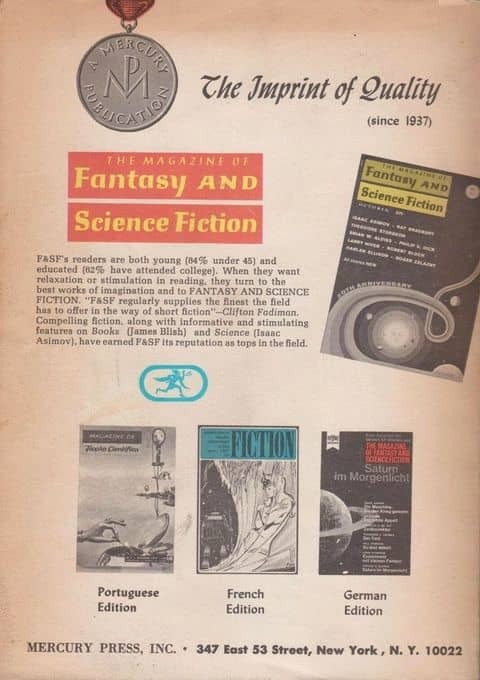 One of the inspired categories is for Best Publisher (this category began in 1972.) 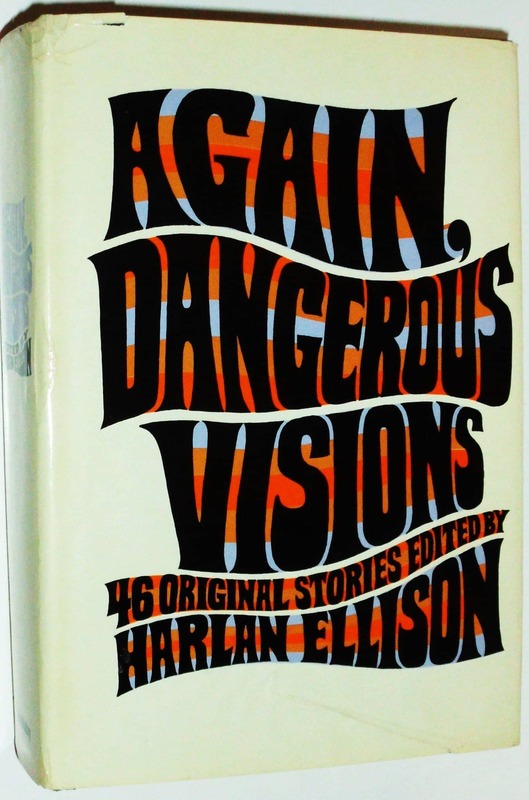 In 1973, the award for Best Publisher went to Ballantine Books. In fact, Ballantine won every year but two between 1972 and 1987. 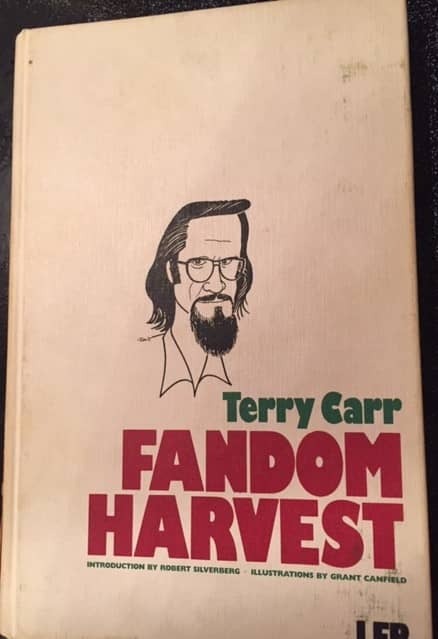 Every year since then, the award has gone to Tor. (Note: the Ballantine awards were often to Ballantine/Del Rey, and the Tor awards were often to Tor/St. Martin’s.) 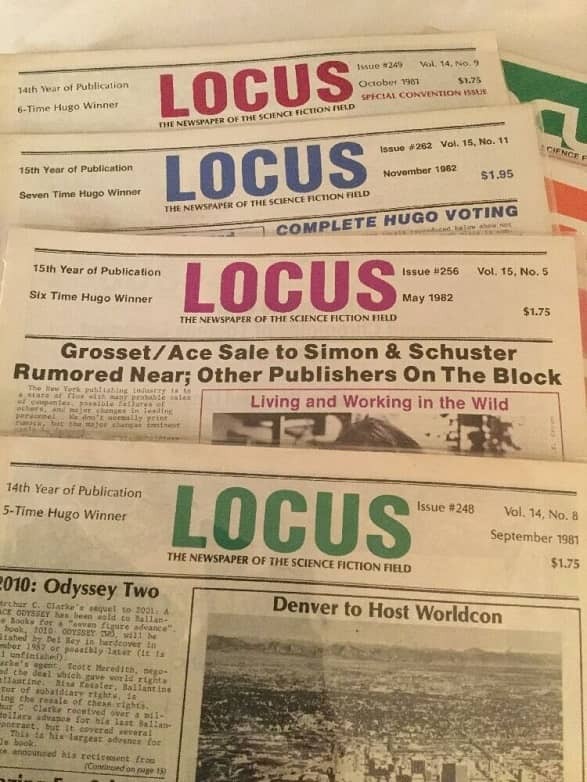 In fact, only four entities have ever won the Locus Best Publisher award: Ballantine/Del Rey, Tor/St. 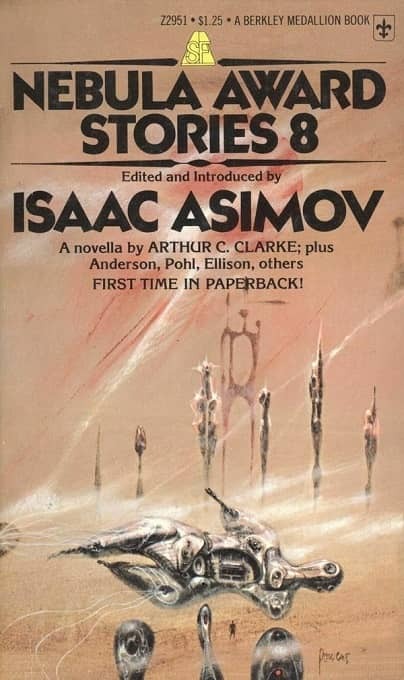 Martin’s, the Science Fiction Book Club, and Pocket/Timescape. 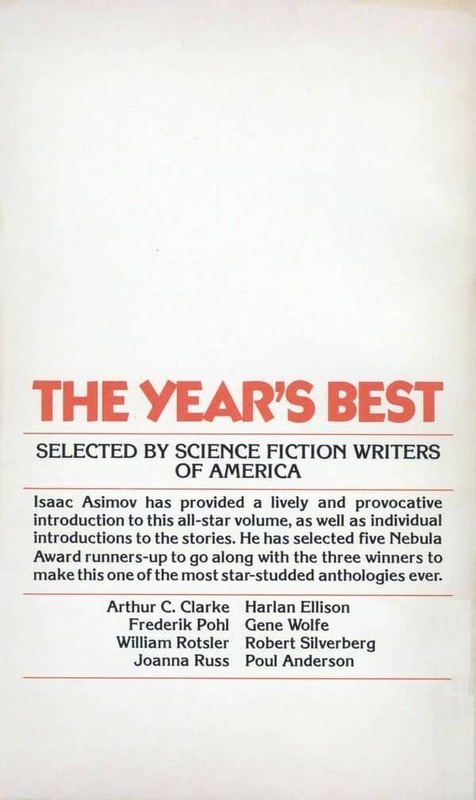 So – I still think the award is a good idea, but perhaps the winner doesn’t tell us much beyond the obvious. 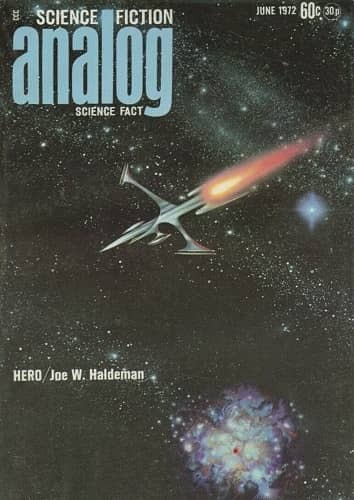 Certainly when I was first buying books – beginning in 1974, I think – it was obvious that Ballantine (and, soon Del Rey) was the leading paperback imprint. (And, of course, at that age I bought only paperback and SFBC editions.) 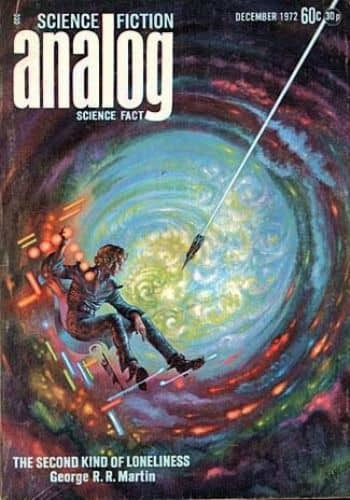 Sure, Ace published some good stuff. 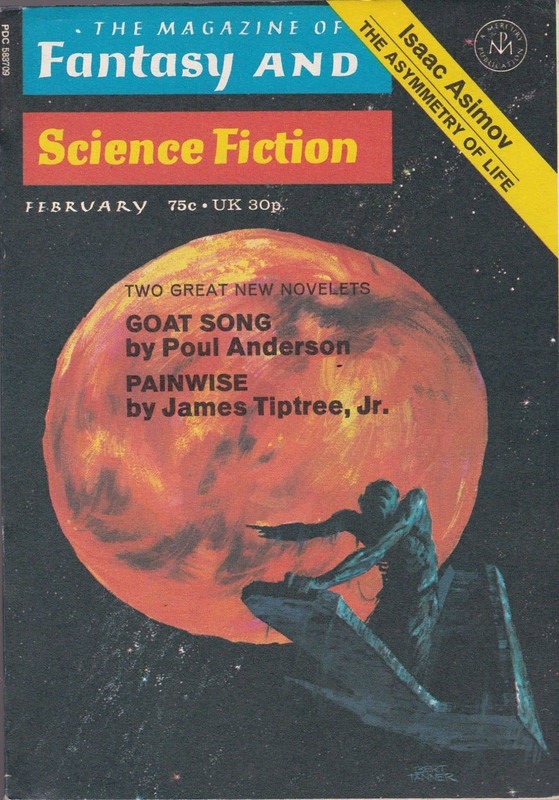 And so did DAW, and Signet, and Berkley, etc. But Ballantine was king – they published the most good stuff, and had the better packaging – they were the clear leaders. 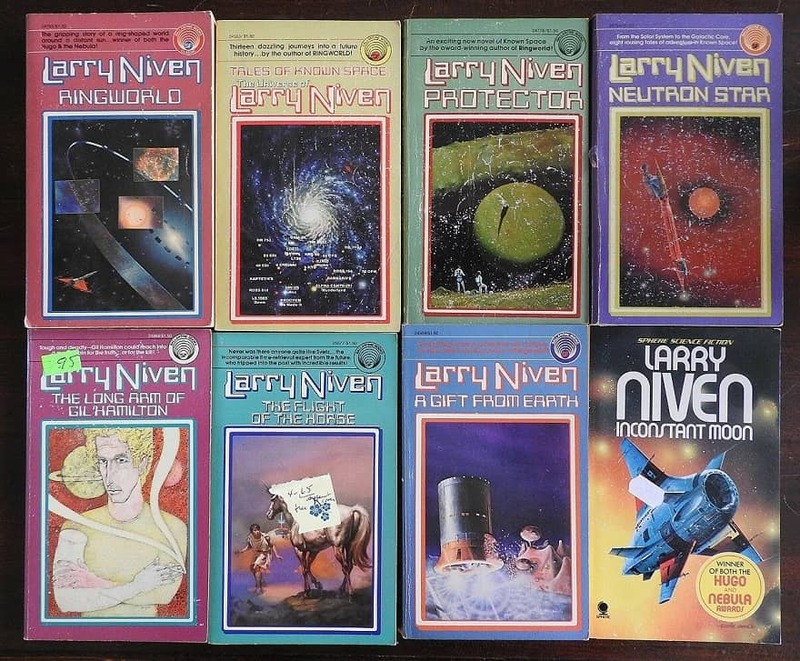 My main association, at that time, was with Larry Niven’s books – Niven was a favorite of mine, and in the mid-70s Ballantine issued a near-uniform edition of Niven’s works to that date. 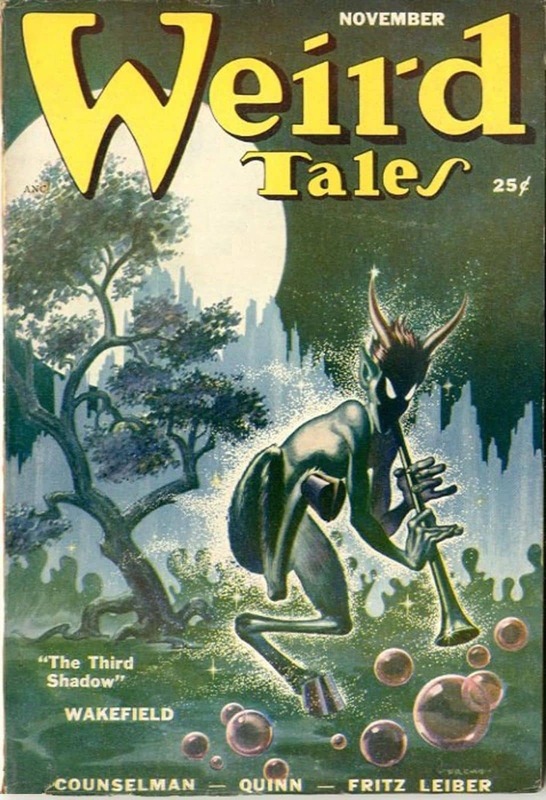 Ballantine also published, under Lin Carter’s editorship, the groundbreaking Ballantine Adult Fantasy series – paperback reprints of really wonderful early fantasy books. 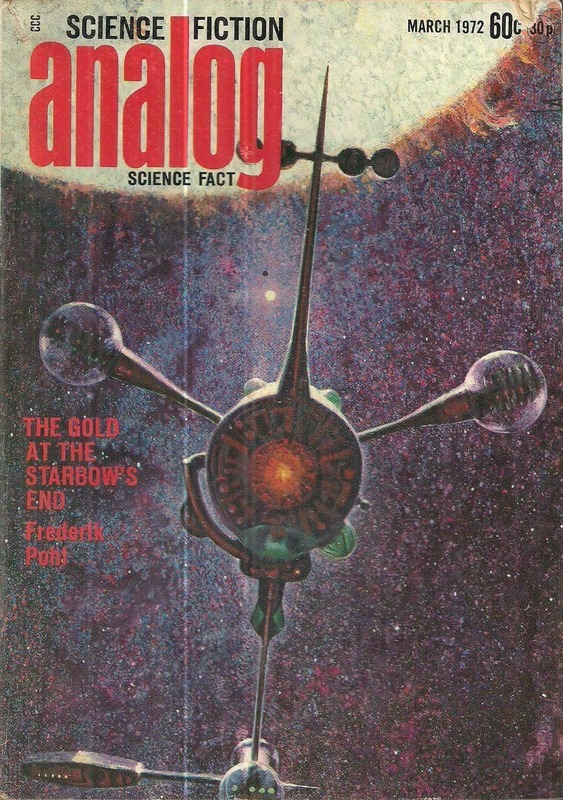 This was made possible from a marketing point of view by the popularity of J. R. R. Tolkien’s The Lord of the Rings – and, of course, Ballantine published the first authorized U. S. paperback editions of those books. 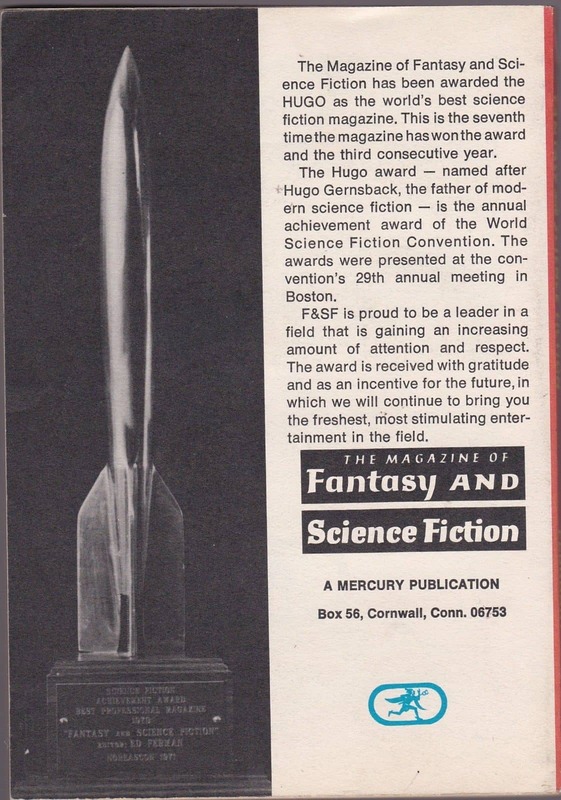 In 1973 there was a tie for the Hugo Award for Best Short Story. 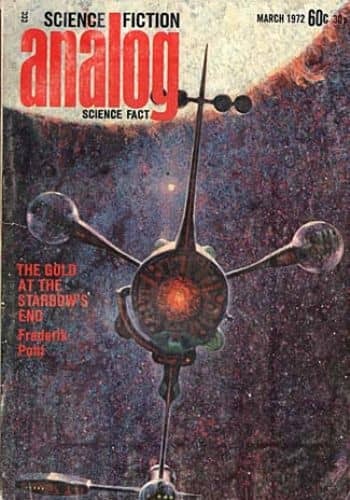 (There have been several ties in Hugo history, perhaps most famously for the 1966 Best Novel, shared by Roger Zelazny’s F&SF serial “… And Call Me Conrad” and Frank Herbert’s Dune.) 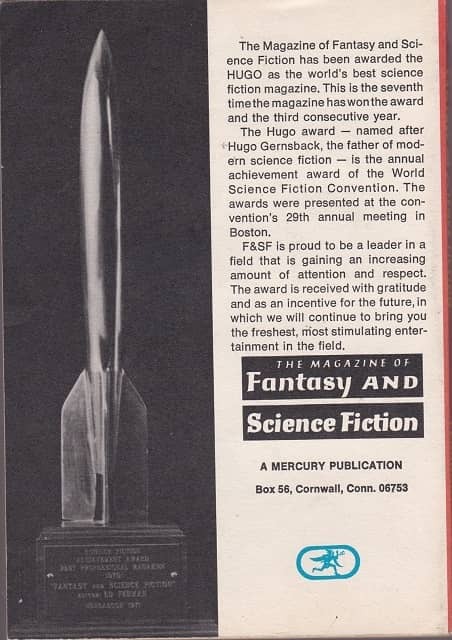 The winners were Frederik Pohl and C. M. Kornbluth for “The Meeting,” and R. A. Lafferty for “Eurema’s Dam.” This was the first fiction Hugo for each of these writers, and the only one for Kornbluth (not surprising, as he died in 1958) and Lafferty. 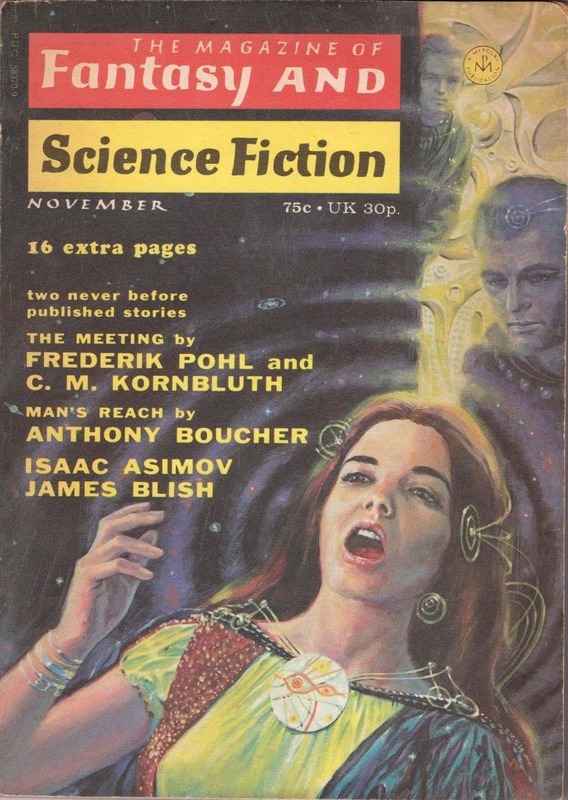 Kornbluth did win a Retro-Hugo in 2001 for his 1950 novelette “The Little Black Bag,” and another posthumous award, the Prometheus Hall of Fame Award for The Syndic. 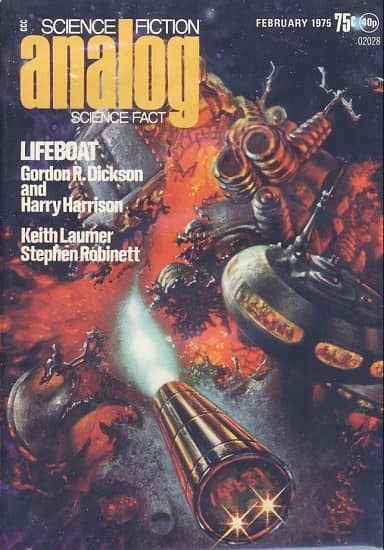 Lafferty won a World Fantasy Life Achievement Award, as well as the Phoenix Award and two Seiuns for Best Story translated into Japanese (“Eurema’s Dam” and “Groaning Hinges of the World”). 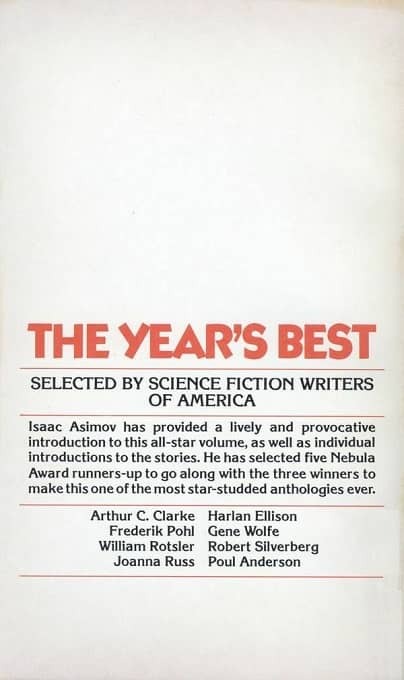 Pohl’s lists of awards is very long indeed: they include later Hugos for his novel Gateway and his short story “Fermi and Frost,” three Hugos as Editor of If, the Best Magazine winner in 1965-1967, Campbells for Gateway and The Years of the City, Nebulas for Man Plus and Gateway, Locus Awards for his memoir The Way the Future Was and his novella “The Gold at the Starbow’s End,” a late (2010) Hugo for Best Fan Writer, and of course he was named SFWA Grand Master in 1993. 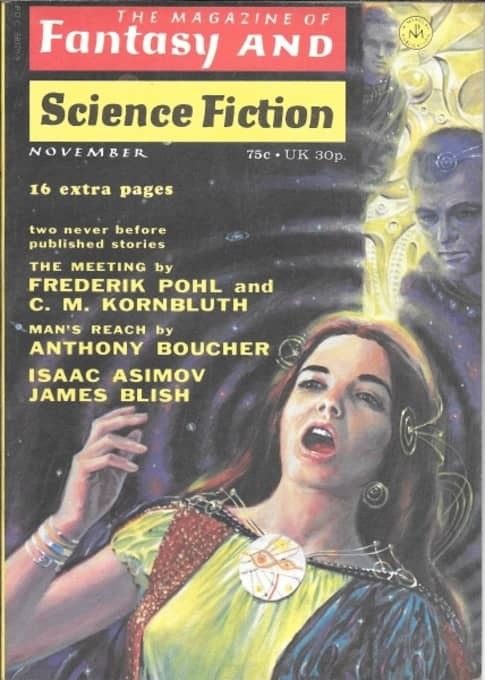 Threshold of Eternity was first published in New Worlds, December 1957 through February 1958. The Ace Double version came out in 1959. 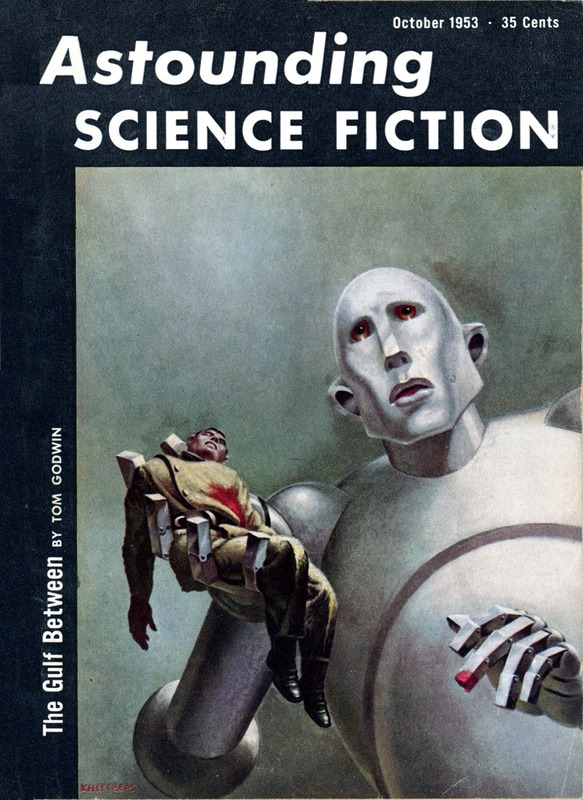 It opens in California in 1957 or so, as one-legged Red Hawkins encounters a French-speaking girl who couldn’t possibly be there — and, indeed, it turns out that Chantal Vareze was just in London. 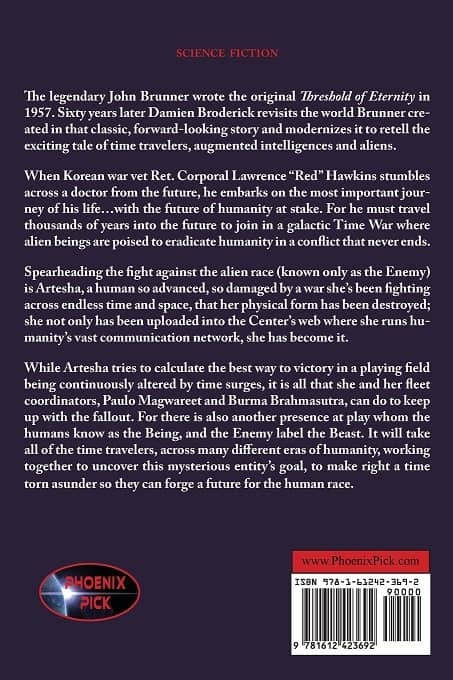 What’s stranger is the other person they soon encounter, a man named Burma who turns out to be from thousands of years in the future. 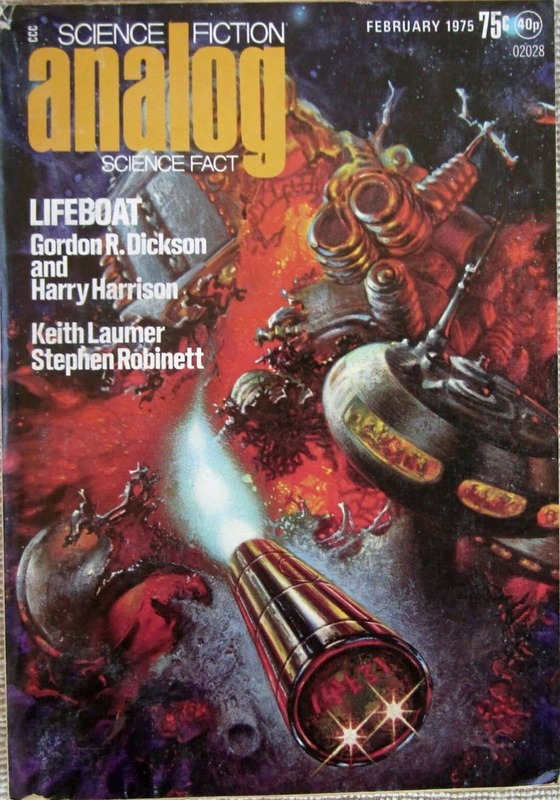 Cool stuff, eh? And things continue as Red and Chantal are carried into the far future, where the two eventually agree to help with the war against the Enemy, help which involves more trips to the past, a weird situation where multiple copies of the main characters coexist uneasily, and a wild and transcendent ending concerning the true nature of The Being, leading to an unexpected and not quite successful ending. Here’s how my review closed. 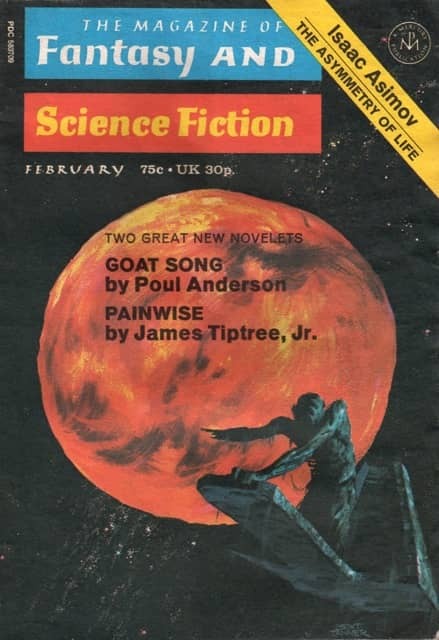 Poul Anderson (1926-2001) was one of the leading SF and Fantasy writers of the last half of the 20th Century. 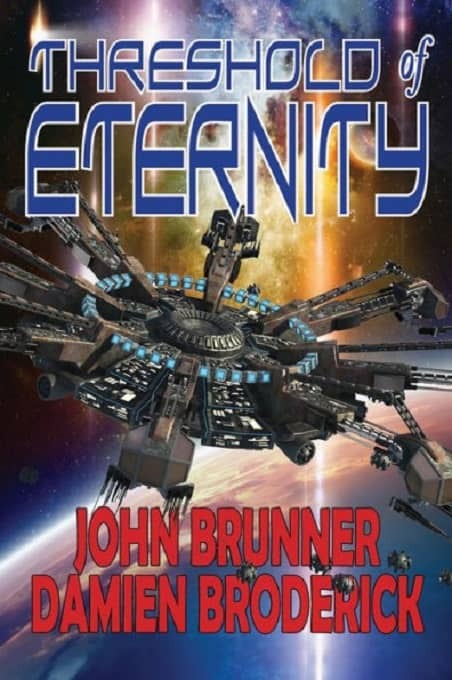 He won the Hugo Award no fewer than seven times for his short fiction, twice taking the Nebula for the same story. 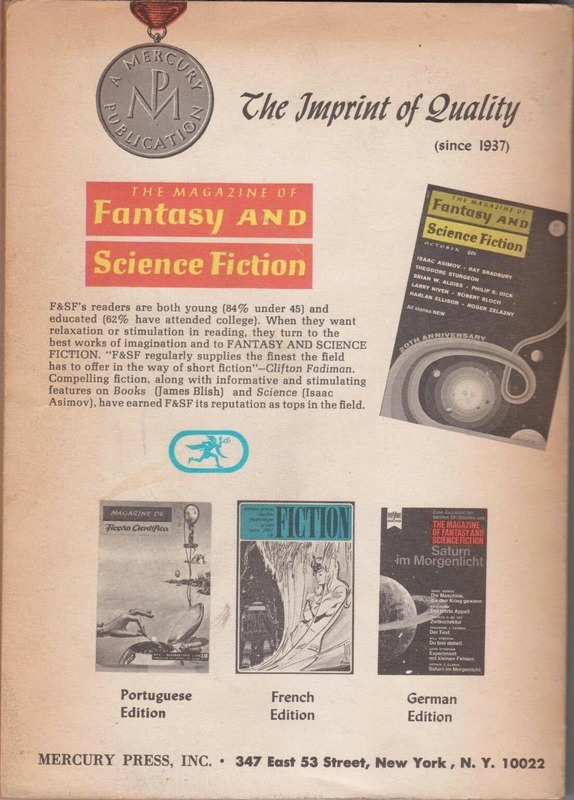 He was named an SFWA Grand Master in 1998, he also won the Gandalf Award as Grand Master of Fantasy, and he received numerous other awards including the Mythopeic Award and the Prometheus Award. His best known novel might be Tau Zero (which finished second for the Hugo in 1971). 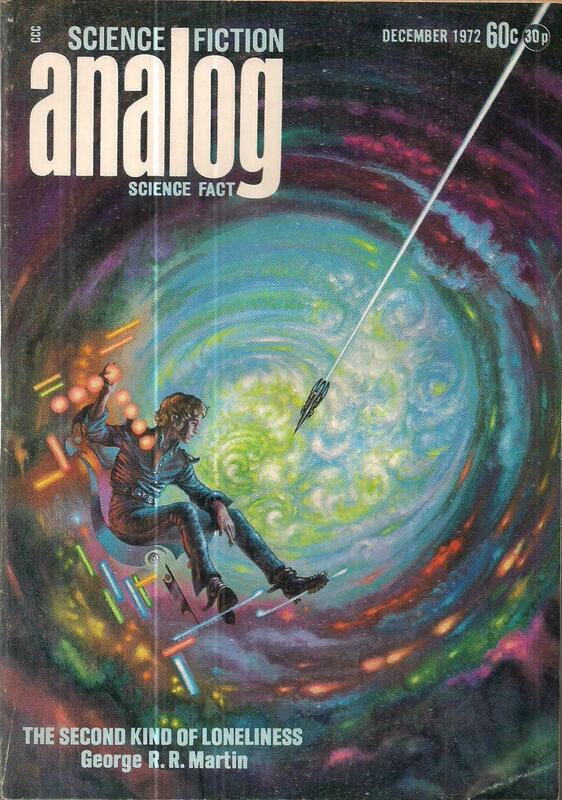 His extended Future History sequence collectively called the Technic Universe probably represents his best-known and best-received set of stories, and his most famous characters, Nicholas Van Rijn and Dominic Flandry, appear in that series.